Archives of Eaton Bray News for January 2010. This article was published in January 2010. Please see Latest News for more recent information. Have you ever been on Facebook? I must confess I have no experience of it. Recently my family kindly gave me a Freeview box for Christmas to ensure that I was ready for the change to digital TV when it comes. My grandson (family consultant on all things "gismo") duly visited to install the new wonder and then pronounced the first problem. "Sorry, you need a new aerial!" So we engaged the "aerial man" who came and installed a shiny new array of antennae above the roof. Back in the TV lounge he connected up, switched everything on and, with his own mysterious electronic box of tricks, checked lots of data. He then left me with the rudimentary instruction, "When you want to watch TV you just press this button on the remote and you're away." 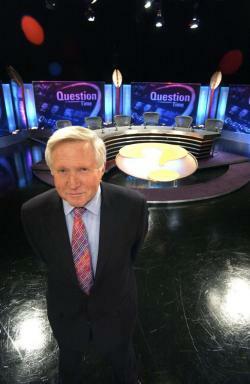 My first evening programme was "Question Time" in which politicians and audience air their views. As one debater was speaking his face suddenly froze on the screen. His words were continuing in sound but his face had frozen in mid-grimace. It was ten past eleven on Thursday evening and his frozen face continued to drift across the screen as the debate progressed. I listened to the rest of the programme in sound while the phantom visage fixed me with his glassy stare. "Aerial man" came back next day, switched off the power to the box and then switched it on again. This enabled the equipment to "unfreeze", warm up and carry on normally! How simple when you know what you are doing!!! But the frozen face still haunts me and the word Facebook is still a mystery; and I intend it to remain so. Lions showed no sign of rust following the Christmas lay-off, poking holes in the Sundon defence and winning a string of early corners. Agile runs from Sam Carter and Ollie West looked set to activate the hosts' goal account for 2010, but it was Toby McGee who found the end of Joe Rabey's neat through ball to finish in stunning style. Sundon regrouped though, forcing defenders James Glover and Joe Thorne into some intelligent counters. Momentum swung back and forth and twice Cameron Burchill was called on to make some deft saves. Excellent running and vital tackles came in the second half from Sam Bramston, as once again Sundon battled to draw level, but in a replica of their first half link-up, another Joe Rabey pass found Toby who netted to complete a brace of goals and seal the match. Early strikes from Will Juster, MoM Sean Woodhouse and James Hurley ensured Lions took momentum during the opening half. A Langford corner ahead of the break put the visitors in front though, another shortly after stretching the gap. The balance shifted back and forth for the last few minutes of the half and Dan Kennell was pressured into some eye-catching saves. Strong support from defenders Aarin Johnson, Mason Ashby, Rom Horner and Jake Draper staved off further offences until the whistle, while Aaron Gauntlett pressed forward in relentless fashion. Langford stepped up their forward movement following the break and a nervy goalmouth scrabble was cleared well by Ben Roberts and Adam Bradley, swinging possession back to the hosts. Sean capitalised to send in the perfect through-ball before James completed a corner with a goal-of-the-season contender to draw level. Despite accomplished links between Dominic Ryan, Alex Poynter and Chris McGee, as well as a barrage of threatening Charlie Nevitt runs, Langford were able to strike once more, securing a narrow victory. Police were called to a house in Coral Close, Eaton Bray, at lunchtime on Monday, January 18, after the body of a man was found. Officers went to the scene after receiving a call from a visitor to the property. It is not believed that there are any suspicious circumstances regarding the death. A post mortem and inquest will be held at a later date, once the next of kin have been informed. Update 21-Jan-2010: An inquest was today opened following the death of 41-year old villager Stephen Carre, who died at his home on Monday 18th January. The cause of Mr Carre's death has been given as hanging. The inquest has been adjourned and will be resumed at a later date. Although there have been no more snow flurries, Highways crews were out gritting last night to prepare the roads for this morning's rush hour. We still have just under 600 tonnes in stock - roughly enough for eight more days of gritting just the A and B roads, as Government is still restricting our salt deliveries due to the national demand for salt. Councillor David McVicar, Central Bedfordshire Council's Portfolio Holder for Safer and Stronger Communities, said: "Although Highway crews will be out clearing footways in town centres and areas outside of schools we would like to remind local road users that Central Bedfordshire Council has a number of salt bins available for the public to use. These can be found at known trouble spots such as sharp bends, steep hills and junctions which are on roads that are not covered by the 'priority one' salting network. However, if any member of the public would like to request a bin for an area they believe is particularly bad, then please put requests all through the Highways Helpdesk (0300 300 8049). Teams will need to decide each case on an individual basis, taking in to account whether it is a priority for pedestrians in that area." "Our crews continue to monitor the forecast and gritting the network on key routes to help keep traffic moving. I would like to reassure road users that Central Bedfordshire Council is doing everything it can to help keep traffic flowing on key routes." Further gritting updates will be issued throughout the day. Please visit our website homepage www.centralbedfordshire.gov.uk for further updates on all services which have been affected by the snow. Visit www.highways.gov.uk for further travel information on major routes and motorways. Visit the met office for the latest forecast at www.themetoffice.org.uk. Highways crews were out gritting from 4am this morning, Wednesday 13 January, as more snow has fallen throughout the night. Although we received a delivery yesterday, and have around 600 tonnes in stock - roughly enough for up to 18 more runs, we are still only able to grit just A and B roads as Government continues to restrict our salt deliveries. Councillor David McVicar, Central Bedfordshire Council's Portfolio Holder for Safer and Stronger Communities, said: "As more snow has fallen throughout the night, and continues to fall his morning, our Highways crews have been out gritting A and B roads to prepare for this morning's rush hour. Crews will also be out today refilling salt bins, clearing footways in town centres and areas outside of schools. "Our crews are still working day and night monitoring the forecast and gritting the network on key routes to help keep traffic moving. I would like to reassure road users that Central Bedfordshire Council is doing everything it can to help keep traffic flowing on key routes." Central Bedfordshire Council's waste team's are continuing to clear the backlog of waste that built up during the bad weather last week. Crews have been collecting from homes in priority order, collecting waste from those that have been waiting the longest first. Although most major roads are running smoothly, and the snow is slowly disappearing, some side roads are still icy so crews will have to assess each situation and collect where ever they possibly can. Last week Central Bedfordshire Council was forced to suspend all waste collections from Wednesday. The nature of this type of work involves crews stopping and starting and reversing around small residential areas, which means it has been just too dangerous to dispatch our crews on such compacted snow and ice. Residents are advised to keep both their black bins and recycling waste out and we will collect it as soon as we can. Unfortunately we won't be in a position to collect garden waste this week. Councillor David McVicar, Central Bedfordshire Council's Portfolio Holder for Safer and Stronger Communities, said: "Our waste crews have been very frustrated at not being able to collect waste as normal, but due to heavy snowfall and freezing conditions, we had to think about both the safety of our residents, children playing in the snow and our crews. Now conditions are improving, we are pleased to be in a situation where we are able to catch up on some of the backlog and return services. Government still continues to nationally monitor salt supplies and manage which areas are of the highest priority to receive salt deliveries first in the UK, so we are still being forced to only grit A and B roads in Central Bedfordshire. As the snow gradually starts to clear our Highways crews continue to be on standby in the event of more snow flurries, and were out gritting yesterday on A and B roads. Highways Teams are closely monitoring the forecast and still conserving salt stocks, as although we received a delivery of 200 tonnes yesterday, we still only have around 500 tonnes in stock, enough for six more days worth of gritting just on the A and B roads. Councillor David McVicar, Portfolio Holder for Safer and Stronger Communities, said: "As the snow starts to melt road conditions have improved but drivers still need to take extra care on some of the minor roads where it is still icy. Our crews are on standby and monitoring the forecast closely and yesterday were out spot gritting problem areas, refilling salt bins, and clearing areas outside of schools." "Our crews are still working day and night to help keep traffic moving on all major roads, and I would like to reassure road users that Central Bedfordshire Council is doing everything it can to help keep traffic flowing on key routes." As the weather conditions have improved over the weekend, Central Bedfordshire Council's waste team is pleased to report that waste collections across Central Bedfordshire are being carried out today, Monday 11 January. Crews will start by collecting from households who were expecting collections last Wednesday, and although most major roads are running smoothly, some side roads are still icy so crews will have to assess each situation and collect where ever they possibly can. Councillor David McVicar, Central Bedfordshire Council's Portfolio Holder for Safer and Stronger Communities, said "We are pleased to be in a situation where we can at least start by catching up on some of the backlog but obviously we have not only last week to catch up on, but some collections which were missed due to snow prior to Christmas, so it could be a couple of weeks until we are fully operating as normal. "We appreciate this will cause inconvenience for residents but pleased be assured we will do everything we can to catch up on the backlog. We are advising residents to keep both their black bins and recycling waste out and we will collect it as soon as we can. Unfortunately we won't be in a position to collect garden waste this week. Last week we were forced to suspend all waste collections from Wednesday due to heavy snowfall and freezing conditions, and we therefore had to think about both the safety of our residents, children playing in the snow and our crews . The nature of this type of work involves crews stopping and starting and reversing around small residential areas, which means it has been just too dangerous to dispatch our crews on such compacted snow and ice. Government still continues to nationally monitor salt supplies and manage which areas are of the highest priority to receive salt deliveries first, so we are still being forced to carry out reduced gritting runs and only able to salt A and B roads in Central Bedfordshire. With more snow flurries expected today, Sunday 10 January, our Highways team will continue to monitor the forecast, and dispatch crews to grit all A and B roads when necessary. Spot gritting will be carried out on badly affected areas on the A and B network throughout the day. Yesterday, Saturday 9 January, our Highways crews carried out a gritting runs on all A and B roads at around 7:00am and 4:00pm, with spot gritting carried out at during the day in badly affected areas. We still only have approximately 360 tonnes of salt in stock, which is roughly enough for 7/8 more runs, and although we received a delivery yesterday of around 60 tonnes, we still need to conserve our salt stock and carry out a reduced gritting run, focussing on just the A and B network. Councillor David McVicar, Portfolio Holder for Safer and Stronger Communities, said: " As we enter a new week it still looks likely that the cold weather is set to continue and with more snow flurries forecast today, Sunday 10 January, we still need to closely monitor salt stocks. Our Highways crews carried out two full gritting runs on all A and B roads yesterday, Saturday 9 January, and spot gritting on badly affected areas, and will be carrying out runs on A and B roads during today. Our crews are still working round the clock to help keep traffic moving on all major roads, and I would like to reassure road users that Central Bedfordshire Council is doing everything it can to help keep traffic flowing on key routes. "With Government still monitoring all national salt supplies we are still forced to only grit the A and B roads. Throughout the last week we have also been attending badly affected areas in town centres and replenishing salt bins but people really do need to take extra care on the roads and footways over the weekend and please follow our safety advice for when driving in snow, fog and ice." Further gritting updates will be issued throughout the weekend. The next Parish Council meeting to be held at the Coffee Tavern on Monday 1st February 2010 at 7.30pm. Due to the continuing freezing temperatures and with more snow forecast over the weekend Central Bedfordshire Council's waste team are still being forced to suspend all waste and recycling bin collections in both the North and South of Central Bedfordshire. Councillor David McVicar, Central Bedfordshire Council's Portfolio Holder for Safer and Stronger Communities, said "Regrettably we are being forced to suspend all waste collection services again today, 8 January, and it is unlikely we will be able to go out as planned tomorrow to start catching up on the backlog. Other neighbouring authorities are also having to suspend collections, and we are advising residents who have not had their bins collected, to leave them out until we are able to catch up when the weather improves. "We understand that this will cause inconvenience to residents, especially coupled with the disruptions to collections prior to Christmas, but we have to think about both the safety of our crews and residents and in these conditions we just cannot operate any waste collections. The nature of this type of work involves crews stopping and starting and reversing around small residential areas, which means it is just too dangerous to dispatch our crews on such compacted snow and ice. We can assure residents we will do everything we can to catch up on collections." As it has been confirmed that Government is nationally monitoring salt suppliers and managing which areas are of the highest priority to receive salt deliveries first, we are still on reduced gritting runs and are currently only able to salt the A and B roads. Due to the continuing icy conditions and with more snow forecast for the weekend, Bedfordshire Highways today, 8 January, will continue to carry out 'spot gritting' on badly affected areas on A and B roads, and crews will also be manually treating footways and pedestrian areas in town centres. Although we sent five lorries to our supplier to collect salt at the beginning of the week and also received four salt deliveries from our suppliers on Wednesday, we are still forced to reduce our gritting runs to just A and B roads, due to a national demand for salt. We currently have approximately 400 tonnes of salt in stock which is enough for around roughly nine more runs on the A and B network. With such a huge demand for salt throughout the country we are unsure when any of our 3000 tonnes, which is currently on order, will be delivered, so we are monitoring both our salt stocks and the weather forecast closely throughout the next few days, and we hope a normal service will be resumed as soon as possible. Councillor David McVicar, Central Bedfordshire Council's Portfolio Holder for Safer and Stronger Communities, said: "We appreciate road conditions are going to continue to worsen as the icy conditions, the coldest spell in 15 years, is set to continue. I would like to reassure road users that Bedfordshire Highways crews are working round the clock to ensure they can keep traffic moving as much as possible on the network, but regrettably have been forced to limit gritting runs to just A and B roads. "Nationally there is a demand in salt so our neighbouring authorities are also in a similar situation. We will be attending badly affected areas with our gritters, and manually salting pedestrian areas in town centres and replenishing salt bins as much as possible. People really do need to take extra care on the roads and footways over the weekend and please follow our safety advice for when driving in snow, fog and ice." Further gritting information will be issued throughout the day. Winter Gritting is a 24 hour operation. Correct tyre tread depths and pressures. Don't forget the spare! Speed kills. Do not travel too fast. Cut your speed in possible icy conditions. Central Bedfordshire Council's School Support Team have now been informed that 22 schools are closed across the area today. Eaton Bray Lower School is currently Open. School Transport to all the closed schools has also been cancelled. Full details of which schools are open and closed can be found at: www.centralbedfordshire.gov.uk/snow. Due to freezing temperatures throughout the night Central Bedfordshire Council's waste team are still being forced to suspend all waste and recycling bin collections in both the North and South of Central Bedfordshire. Councillor David McVicar, Central Bedfordshire Council's Portfolio Holder for Safer and Stronger Communities, said "Regrettably we are being forced to suspend all waste collection services again today (7 January) so we are advising residents who have not had their bins collected, to leave them out until we are able to catch up when the weather improves. "We understand that this will cause inconvenience to residents, especially coupled with the disruptions to collections prior to Christmas, but the safety of both our crews and residents is paramount. The nature of this type of work involves crews to stop start and reverse around small residential areas which means it is just too dangerous to dispatch our crews on such compacted snow and ice. "We can assure residents we will do everything we can to catch up on collections, and under these circumstances we will use Saturdays for collections as well as week days in order to sort out the backlog." Please visit our website www.centralbedfordshire.gov.uk on all the latest news on waste collection services throughout the next few days. Due to heavy snowfall throughout the night and more forecast today (Wednesday 6 January) Central Bedfordshire Council's waste team has had to suspend all waste and recycling bin collections in both the North and South of Central Bedfordshire. Councillor David McVicar, Central Bedfordshire Council's Portfolio Holder for Safer and Stronger Communities, said "Regrettably we have to suspend all waste collection services today (6 January) so we are advising residents who have not had their bins collected, to leave them out until we are able to catch up when the weather improves. Under these circumstances we will use Saturdays for collections as well as week days in order to catch up. We must make sure we can access all households safely before we dispatch our crews as safety of both our crews and members of the public is paramount. At the moment it is really too dangerous to operate waste collection vehicles on compacted snow and ice. We are sorry for any inconvenience caused and will be monitoring the situation closely." You are viewing the January 2010 archive.